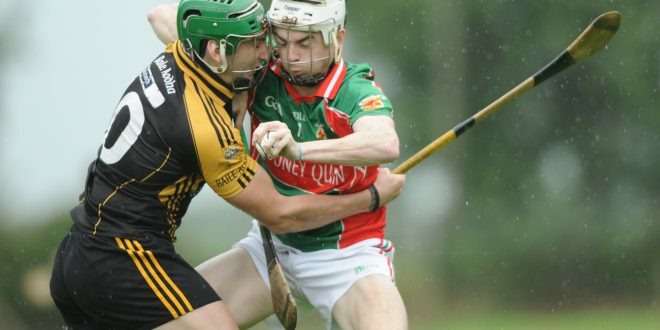 Cathal Doohan of Ballyea in action against Ryan Taylor of Clooney-Quin during their game in Sixmilebridge last year. Photograph by John Kelly. THE Ballyea panel, winners of the Clare and Munster senior hurling titles for the first time in the club’s history in 2016, are back in full training ahead of their All-Ireland semi-final date with St Thomas’ from Galway. 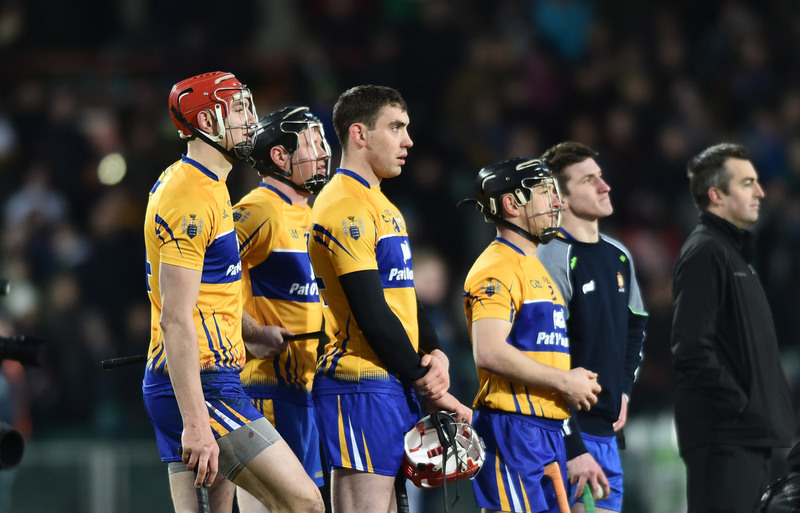 The game is scheduled for Semple Stadium on Saturday, February 4. “We took two weeks off over the Christmas but we have done a bit on the ball wall and a bit on the Astro Turf, just to keep ticking over. 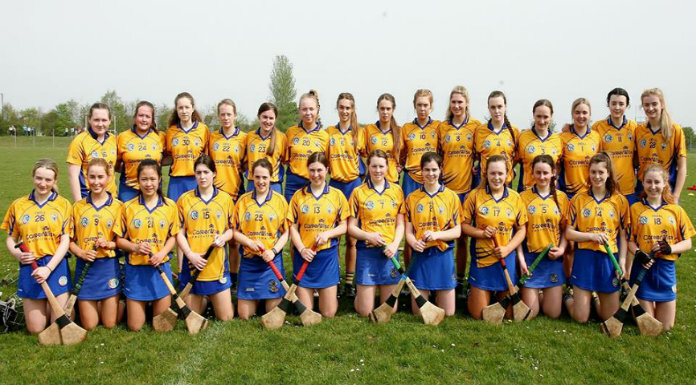 The county lads did a bit with the county and it was important for them to re-group,” Ballyea manager Robbie Hogan told The Clare Champion this week. He continued, “We are hoping to play a few college teams in the next few weeks ahead of the All-Ireland semi-final. We are injury free at present but there are a lot of flus and coughs and we are keeping our fingers crossed that we will stay clear of these”. A few of the squad are currently out of the country but Hogan confirmed that all are expected back soon. Cathal Doohan travelled to Australia a few days after the Munster final victory, having postponed the trip twice in the preceding weeks. He is expected back in mid January. The second semi-final, which will see Cuala from Dublin take on Slaughtneil from Derry, will not be played until the end of February. This is due to the fact that the Ulster club has qualified for the All-Ireland semi-final in both the senior football and hurling competitions and there are a number of dual players.